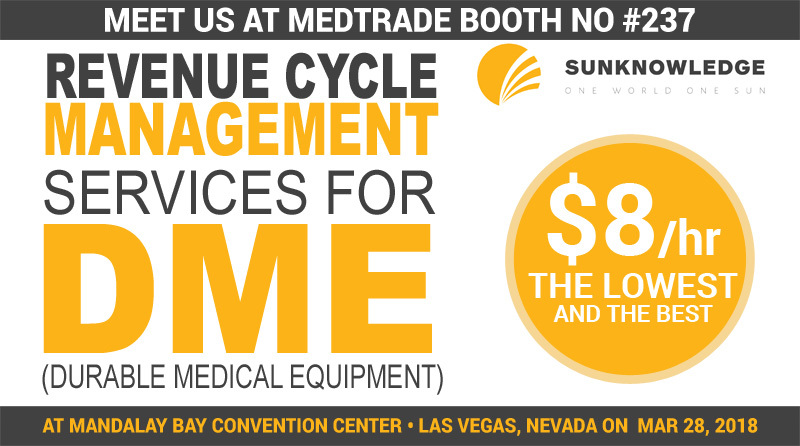 An Immaculate DME Billing Destination: The Sunknowledge Narrative! HomeBlogDME BillingAn Immaculate DME Billing Destination: The Sunknowledge Narrative! 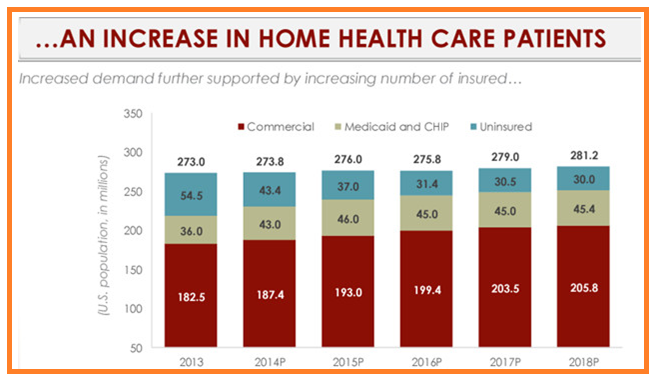 The preference for home based care, demographic trends, and pragmatic industry standards makes the DME market a lucrative investment segment. Although many distributors and manufacturers suffered due to the Medicare initiative with competitive bidding, DME expenditures are more than $50 billion. Technology automation, innovation, and breakthrough developments are also a serious contributor. Revenue cycle management practices will be a big area of attention for the investor community with massive changes expected in the federal vision. A critical area of worry for all DME manufacturers and service providers is how they will be able to provide a statement with their service prices. Transparency will be a counting factor and a clear strategy to counter medical claims denials will be crucial. Very soon, claims adjudication idea of the insurance company has to be met with an enabled platform that is secure in sharing of information. Patient information management has to be streamlined with the help of dynamic medical billers and improved platforms. HIPAA implementation in the medical billing process will be critical in developing the financial credentials. Documentation for better prior auth submission in DME billing is going to be a key ask. 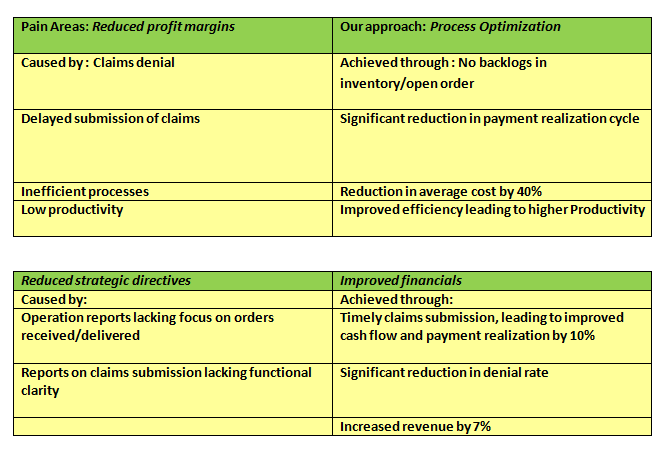 The Sunknowledge Story in DME Billing! Working with both payers and providers, Sunknowledge Services Inc. is a next gen medical billing and collections company. We believe in working as your reliable operational extension, our functional best practices in DME billing helps in eliminating pain areas with everyday practice management/ billing mandates. Our competency across all major billing software helps us cater powerful DME billing assistance. Sunknowledge Services Inc provides a 360 degree perspective in DME billing and cater end-to-end support with: Eligibility Verification, Prior Authorization, Order Entry and Confirmation, Doctor Office Follow up, Charge Entry, Medical Coding, and Claims Submission, Payment Posting, Denial Management, Accounts receivable recovery, and Contact Center Services. 100s of references are available with leading clients in the DME space! Talk to us and let us explain how we can work together and provide you dedicated account management/customized reporting standards that reduces billing costs by 70% securing a collection rate of 97%! Meet us at the Medtrade, Booth No #237 on March 28th, 2018 to know more about our easy business transition capabilities and credentials as a top class DME billing service provider.